Tiger Woods is almost certain to be chosen to play in the Ryder Cup next month, and AP golf writer Doug Ferguson says it’s likely Phil Mickelson will join him there as a captain pick. 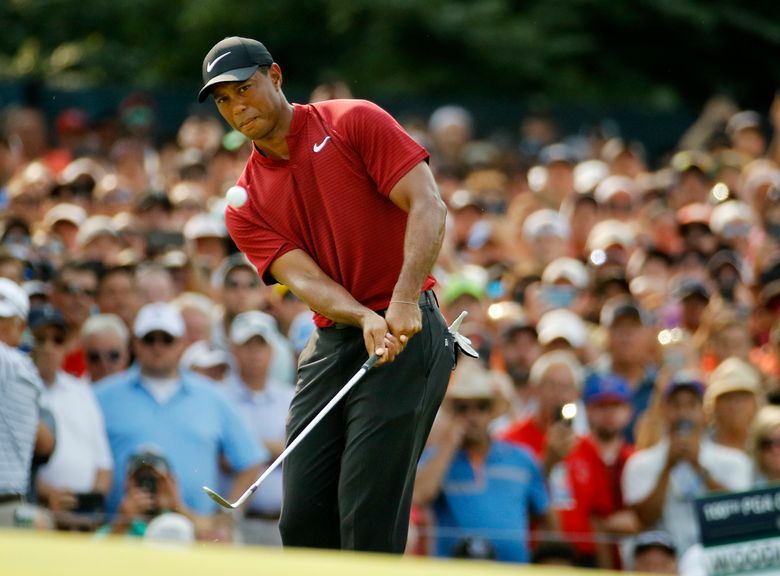 Ferguson told co-hosts Jim Litke and Tim Dahlberg on PodcastOne Sports Now that the wild crowds that greeted Woods at the PGA Championship reminded him of the Tiger of old — only louder. He said a lot of young golf fans who never saw Woods in his prime are now a part of a Tiger fan club that spans generations. AP racing writer Jenna Fryer also joins the show to talk about the DUI arrest of Nascar chairman Brian France and the way forward for an auto series that has been hit by declines in television ratings and attendance. The AP’s Rob Harris in London then runs down the opening matches in the Premier League season. And Dahlberg and Litke discuss the NFL protests, with Dahlberg suggesting that there is some middle ground in an issue that has fractured the league and its fan base. Litke, of course, was happy with his array of food choices in a tour of Europe that included stops in Scotland, Germany and Italy.